Marilyn and I have been married for 40 wonderful years raising 5 children. When not practicing the finest dental care I enjoy golf, hunting, fishing, and many other outdoor activities North Dakota offers. Dr. Terry Deeter is also a contributor on RealSelf. Since 2003, I have had the pleasure of providing dental care to the guests of Deeter Dental. I always strive to understand the wants and needs of every guest. Growing up in Bismarck, North Dakota and being around dentistry my whole life is what drew me to the profession. I graduated from the University of Minnesota Dental School in 2003, and joined my father in practice. Since then I have continued my training at the Las Vegas Institute, which focuses on cosmetic and full mouth rehabilitation. I married my lovely wife Beth in 2011, and we have three children; Brody, Breckyn, and Brynn. Besides dentistry my passion in life are family, fishing, hunting and golf. I truly look forward to providing excellent dental care to all dental guests of Deeter Dental! 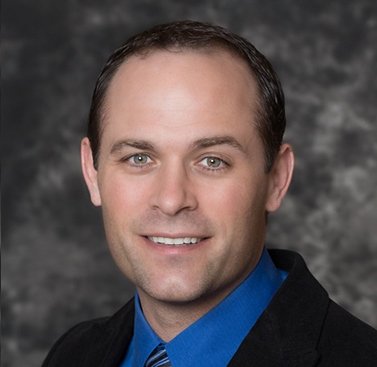 Dr. Lucas Deeter received his Doctor of Dental Surgery from Marquette University in 2007. Dr. Lucas knew from early in his career that he wanted to do and know more than your average dentist. In 2008-2009, he studied and learned surgical and restorative implant dentistry from one of the pioneers of implant dentistry, Dr. Carl Misch. Upon completion of his training with the Misch International Implant Institute, Dr. Lucas was awarded a fellowship award. The following year Dr. Lucas continued his implant training with another world renowned implant dentist, Dr. Michael Pikos. Having completed more than 500 hours of advanced training in implant dentistry and has placed and restored approximately 1000 implants with a 99% success rate, Dr. Lucas should be your implant dentist. Dr. Lucas continued to build his knowledge to help people that suffer from chronic facial pain, i.e., TMJ, headaches, migraines. Dr. Lucas studied for the past 4 years at Las Vegas Institute obtaining his fellowship in December of 2016. Dr. Lucas is committed to helping you get out of pain, sleeping better and improving your quality of life through the science of physiologic based dentistry with more than 400 hours of advanced training. Contact Dr. Lucas to find out more about physiologic based dentistry and how it can change your life! Over the next year Dr. Lucas is scheduled to complete more advanced training in Face Focused Orthodontics to help our little ones grow to their genetic potential, which will help to minimize the amount of people that suffer from TMD and sleep breathing disorders. Dr. Lucas has a beautiful family of eight. Leading the team is his beautiful wife since 2002, Lindsey. They have six children: Max, Gabriella, Owen, Seraphina, Beckett and Estelle. Their family is very active in hockey and figure skating during the school year and enjoy going to their cabin in the summer.